The harp is a diatonic instrument that requires levers to play in different keys without retuning. 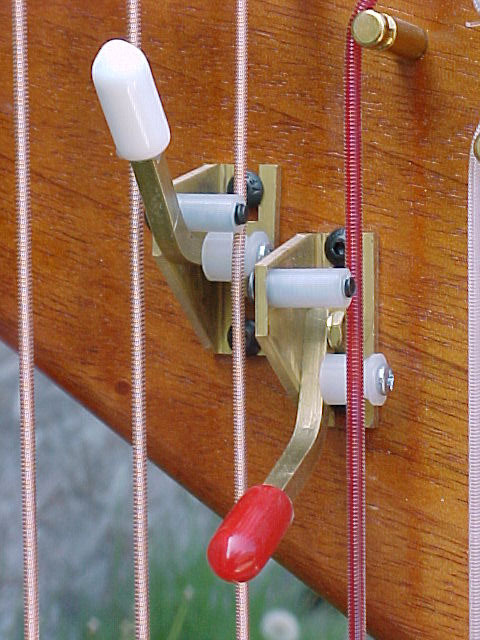 Celtic harp levers are installed individually, one per string. The cost for a full set can represent a substantial amount of the cost the instrument. Many beginner harpists order them for the C's, F's and B's only, but many teachers will advise you to buy as many as you can afford. 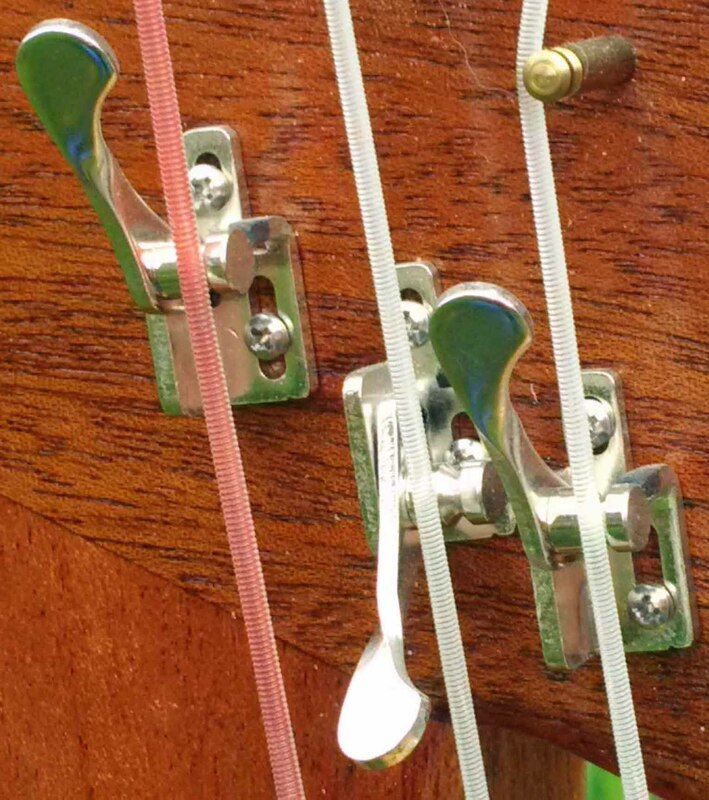 Levers that do not have strings stoppers (two contact points) do not work really well for the middle and low ranges of the harp as they cannot hold the vibration of the strings and the strings will buzz or lose tone. Levers with string stoppers are more expensive. We install only levers sets with string stoppers in the mid and low range using Camac levers on our bigger harps, On smaller harps we install Rees levers to reduce the cost of the harp. Price of levers includes installation. They are not sold individually. 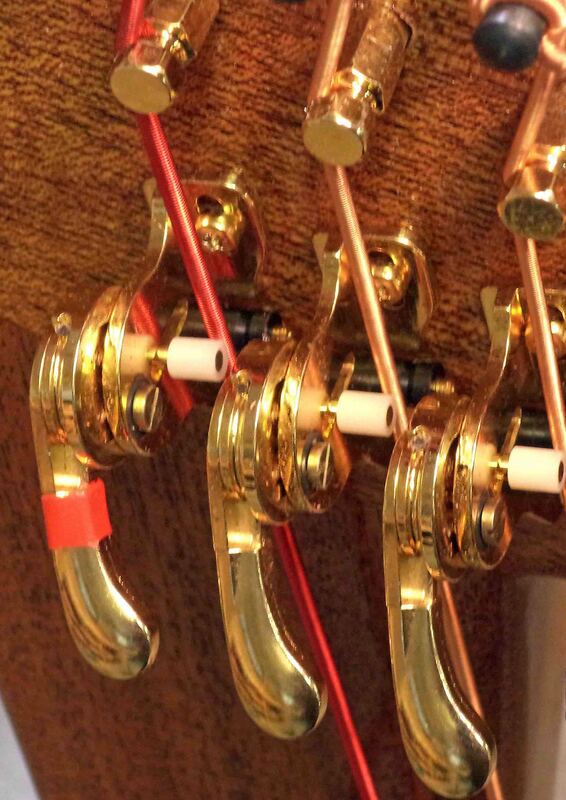 Josephus levers are only installed on our rental harps. They are not sold separately or installed on commercial harps.